The base is internationally recognized as a strategic point for launching rockets due to its privileged location in the equatorial region. RIO DE JANEIRO, BRAZIL – One of the agreements to be signed during Brazilian President Jair Bolsonaro’s first official trip to Washington DC will be the Technology Safeguards Agreement (AST) allowing the United States to use Brazil’s Alcantara Aerospace Launch Base for its satellites. The satellite market is a billion-dollar market, increasing over ten percent per year. The Alcantara Base Launch Center may render Brazil billions of dollars per year, photo by Valter Campanato/Agencia Brasil. According to the U.S. Federal Aviation Administration (FAA), in 2017 alone, this market moved around US$3 billion, an increase of more than sixteen percent compared to the previous year. 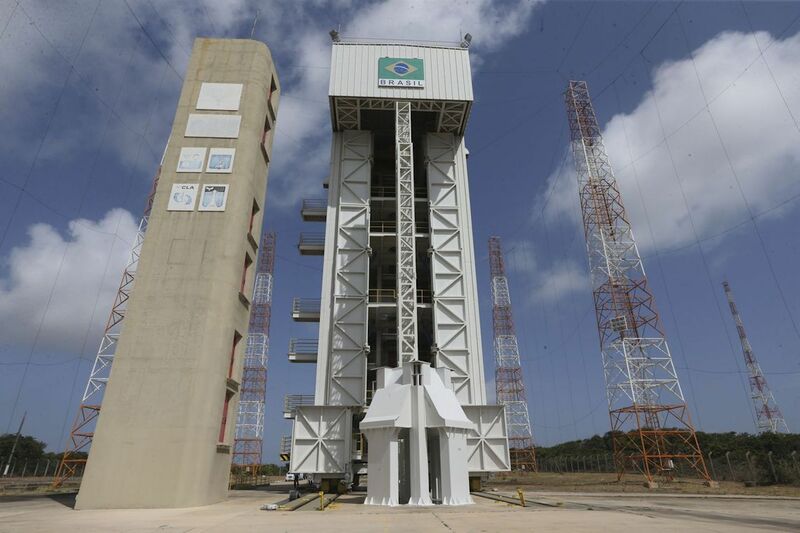 “Brazil will enter the satellite launch market. For years, the Brazil-United States Business Council has been waiting for the agreement with the Americans. Our expectation is that we will start exporting services related to this industry,” Diego Bonomo, Executive Manager of International Affairs of Brazil’s National Confederation of Industry (CNI) told government-run news agency, Agencia Brasil. The Alcantara Base is internationally recognized as a strategic point for launching rockets due to its privileged location in the equatorial region, which allows maximum use of the rotation of the Earth to boost the launches. According to Brazil’s Space Agency (AEB), the launch of satellites from this location may mean a thirty percent reduction in fuel consumption, compared to other launch sites at higher latitudes. Despite the controversy surrounding the agreement, which led Congress to freeze the approval of the first agreement on the issue during the Cardoso Administration, this new agreement allows Brazil some ‘restrictive’ access to the site during the U.S. use. “This agreement is made in technical terms and has no influence or threat to our sovereignty,” said Science and Technology Minister, Marcos Pontes on Sunday to reporters. “On the contrary, we will gain a lot from that,” added the former astronaut. According to the Ministry of Defense, renting the site for satellite launches, could render Brazil up to US$10 billion per year.